Day Bed Ensembles Collection Furniture Store with a wide range of Home Furnishing Products. We feature ready to assemble and custom made items. Camp 1830 Daybed Ensemble includes comforter, shams and bedskirt. Beauitful ensemble for your bedroom. Impressions Daybed Ensemble includes comforter, shams and a bedskirt. Beautiful ensemble for your bedroom. Jaguar Onyx Daybed Ensemble includes comforter, shams and bedskirt. Beautiful ensemble for your bedroom. Flower Power Daybed Ensemble includes comforter, shams and bedskirt. Beautiful ensemble for your bedroom. Jolie Black Daybed Ensemble includes comforter, shams and bedskirt. Beautiful ensemble for your bedroom. Kensington Daybed Ensemble includes comforter, shams and bedskirt. Beautiful ensemble for your bedroom. Paddock Daybed Ensemble includes comforter, shams and bedskirt. Beautiful ensemble for your bedroom. Pasha Daybed Ensemble includes comforter, shams and bedskirt. Beautiful ensemble for your bedroom. Pembrooke Daybed Ensemble includes comforter, shams and bedskirt. Beautiful ensemble for your bedroom. Pine Run Daybed Ensemble includes comforter, shames and bedskirt. Beautiful ensemble for your bedroom. Ambrose Falls Day Bed Ensemble includes comforter, shams and bedskirt. Beautiful ensemble for your bedroom. Cabana Daybed Ensemble includes comforter, shams, and bedskirt. Beautiful ensemble for your bedroom. Halo Daybed Ensemble includes comforter, shams and bedskirt. Beautiful ensemble for your bedroom. 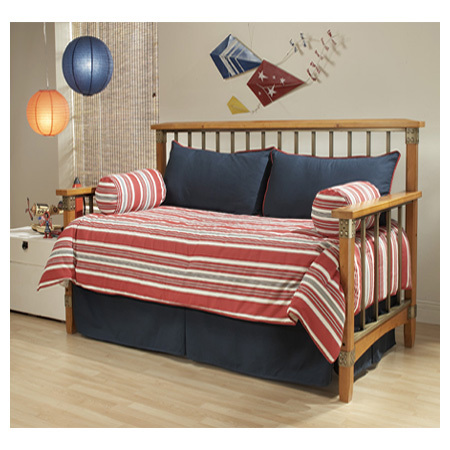 Hobie Red Daybed Ensemble includes comforter, shams and bedskirt. Beautiful ensemble for your bedroom. Hearts and Ribbons Day Bed Ensemble comforter, shams and bed skirt. Beautiful ensemble for your bedroom. Catalina Daybed Ensemble includes comforter, shams, and bedskirt. Beautiful ensemble for your bedroom. Brendan Daybed Ensemble includes comforter, shams and bedskirt. Beautiful ensemble for your bedroom. Wisteria Day Bed Ensembles includes comforter, shams and bedskirt. Beautiful ensemble for your bedroom. Zest Day Bed Ensemble includes comforter, shams and bedskirt. Beautiful ensemble for your bedroom. Butterflies Daybed Ensemble includes comforter, shams, and bedskirt. Beautiful ensemble for your bedroom. Heather Daybed Ensemble includes comforter, shams and bedskirt. Beautiful ensemble for your bedroom. Huntington Check Daybed Ensemble includes comforter, shams and bedskirt.